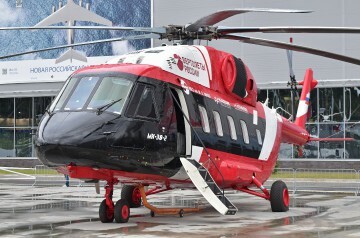 OP-1 was the first protoype in the development program for the Russian Mi-38 medium multipurpose helicopter. Protoype OP-1 was originally fitted with the Pratt & Whitney Canada PW127/TS engines and, later, the Klimov TV-117V engine option. Resources related to the Mi-38 (Prototype OP-1), provided by the Vertical Flight Society. Resources related to the Mi-38 (Prototype OP-1), provided by public sources across the internet.